Tue., 17 Dec. - Thu., 2 Jan. Sat., 2 Nov. - Wed., 6 Nov. This 18-story Hyatt Regency is a short drive from famous Washington D.C. destinations such as the Lincoln Memorial, Washington Monument, National Mall, and Smithsonian museums. 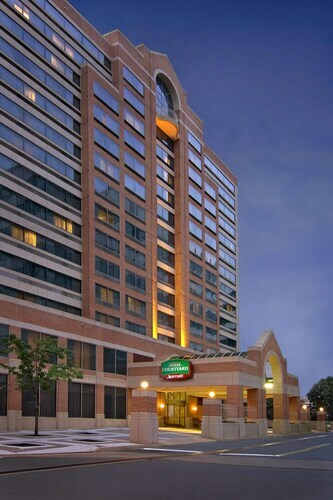 Located in Crystal City, this hotel is 1.1 mi (1.9 km) from Fashion Center at Pentagon City and 1.4 mi (2.2 km) from Birchmere. Arlington National Cemetery and Washington Monument are also within 6 mi (10 km). Crystal City Station is 13 minutes by foot and Pentagon City Station is 22 minutes. 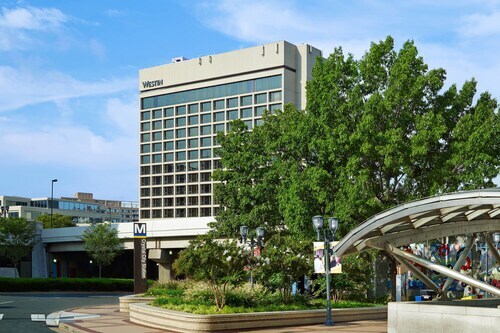 Located at the Crystal City Metro Station, this hotel is less than a 15-minute ride on the Blue Line to the National Mall in Washington D.C. Located in Crystal City, this hotel is 0.6 mi (0.9 km) from Fashion Center at Pentagon City and 2.1 mi (3.4 km) from Birchmere. Fort Myer is 2.7 mi (4.3 km) away. Crystal City Station is 8 minutes by foot and Pentagon City Station is 12 minutes. 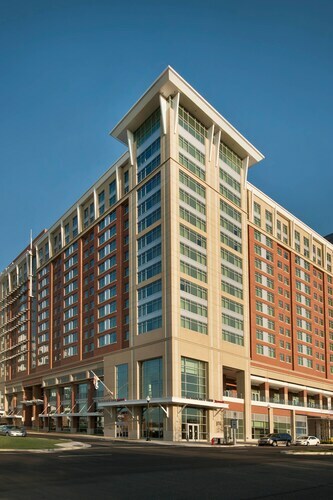 Located in Crystal City, this hotel is 1.4 mi (2.3 km) from Birchmere and 1.5 mi (2.3 km) from Fashion Center at Pentagon City. Arlington National Cemetery and Washington Monument are also within 6 mi (10 km). Crystal City Station is 17 minutes by foot and National Airport Station is 21 minutes. The Courtyard is 1 mile from Reagan Washington National Airport on the Virginia side of the Potomac River, and 4 blocks from Crystal City's underground shops and restaurants. 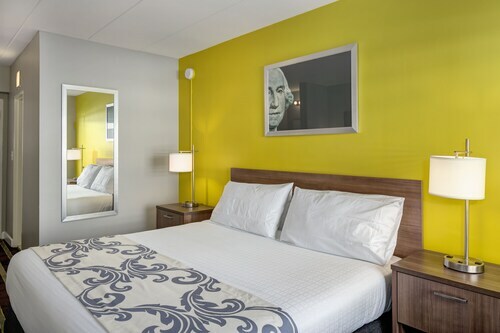 Located in Crystal City, this hotel is within 3 mi (5 km) of Fashion Center at Pentagon City, Birchmere, and Jefferson Memorial. Fort Myer is 3 mi (4.8 km) away. Crystal City Station is 6 minutes by foot and Pentagon City Station is 17 minutes. Across the river from Washington, DC, this hotel is in Crystal City, VA, known for its concentration of high-tech companies; Reagan National Airport is 1 mile away. Question : How long do most people stay in Washington? Answer : You sure can and you may save by changing when you take off. The cheapest day to fly in April is Friday. Flexibility is key when booking travel to help keep costs down. Answer : The cheapest day to fly from Calgary to Washington is on Friday. If you are trying to save a little money on your next trip look for flights on that day. Question : What is the cheapest airline flying from Calgary to Washington? Answer : United Airlines is your best travel expert for finding that sought-after low fare. They offer fares as low as $367, while rates for similar flights are as high as $1,359. Question : What is the cheapest date to fly to Washington? Answer : As of Apr 15th, the cheapest day to fly from Calgary to Washington is Apr 27th. Tickets are currently $385, 35% less than the average price for this route. Question : How much is a plane ticket to Washington (DCA) from Calgary (YYC)? Answer : Cost can range from $367 to $1,359, prices for YYC to DCA do change more than most routes from Canada. Prices tend to be cheaper the further out you book.